Dry: 908 lbs, Wet: 6,108 lbs. From the moment you step into your new Bali hot tub, you'll understand why it remains one of the world's most sought after luxury hot tub spas. Every inch of the Bali has been meticulously designed with your total relaxation in mind. 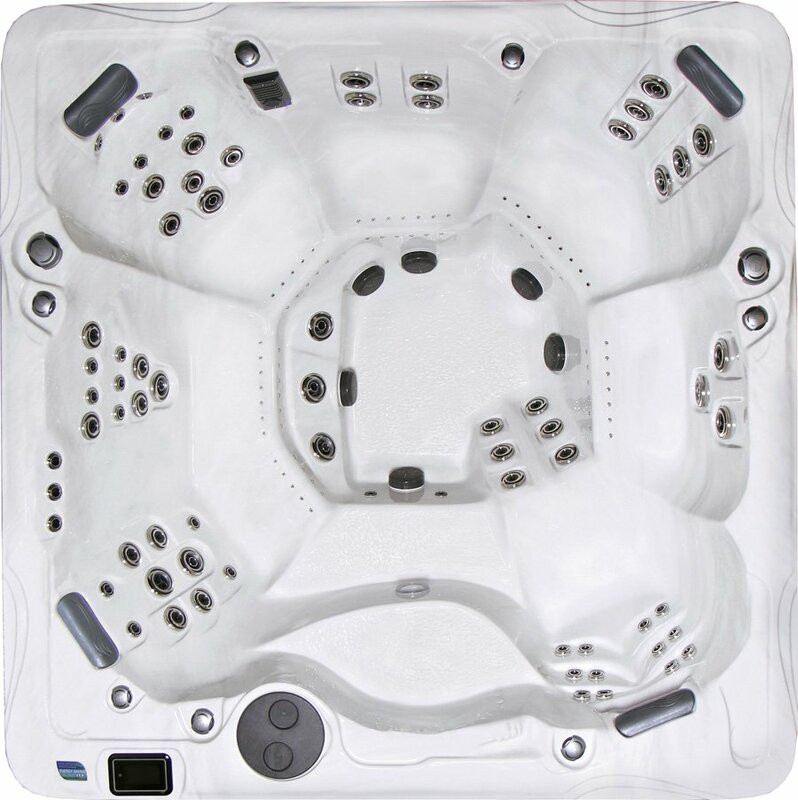 From its spacious seating for seven, to its 143 strategically-positioned therapeutic hot tub jets, you'll be immersed in a state of absolute bliss while the worries and cares of the day instantly vanish with each wave of leading-edge hydrotherapy. Stretch out in the Captain's Chair and unwind as 70 hydrotherapy hot tub jets and 73 spa air massage jets rejuvenate overworked muscles and tense minds. 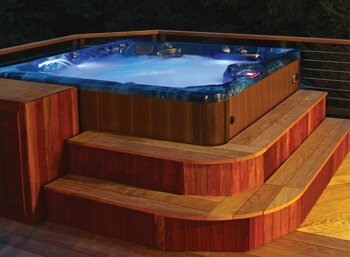 For even greater relaxation, add the optional SoundStream™ audio system with SpaCoustic™ speakers to your hot tub spa for an unparalleled level of relaxation. Whether it's a relaxing evening with the family, a romantic escape with your loved one, or some well-deserved time for just yourself, the Bali from PDC Spas is the pinnacle of what a luxury hot tub should be.